This is some kind of sick joke, right? 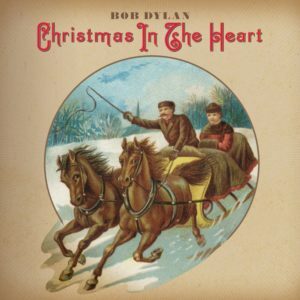 Bob Dylan does ALL of the popular christmas song canon. Well, to his credit, he puts together some good arrangements, and what was probably a near limitless production budget helps. Yet hearing the man croak his way through this stuff is easily imagined like watching Dylan participate in a reality TV show (oh what awkward and pointless task will he have to complete next?). But this just proves a corollary to the law of large numbers: anyone on a major label for more than ten years (of a christian persuasion) will make a holiday recording. No, this would actually be perhaps enjoyable if a decent singer was in place instead of Dylan, perhaps a competent female pop star, possibly PJ Harvey or even somebody from the country-pop realm (provided she could pull off vocals with a jazzy twist). No, instead of that we get this spectacle. Previous Previous post: Joseph Ramsey – Does America Have a Gun Problem… or a White Supremacy Capitalist Empire Problem?